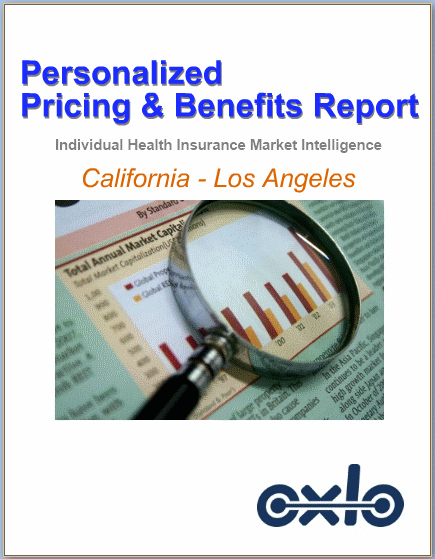 Visit Oxlo at the Conference and Learn About Individual Health Insurance Plan Rate and Benefits Competitive Intelligence. You need to know what your competitors offer to obtain individual health insurance new business. Obtain your personalized report to find out now! Obtaining and retaining individual health insurance subscribers is critical to your subscriber portfolio. Find out how your individual new business plan prices and benefits compare to your competitors in a specific statistical area and target demographic market. Meet with Oxlo at the AHIP 2011 Fall Conference and see a personalized demo and learn how Oxlo Health Insurance Insight™ can boost your individual health insurance competitive intelligence to the next level. Request a brief meeting with Oxlo at the conference! Oxlo Systems created and operates Oxlo Health Insurance Insight™, the leading individual insurance plan pricing and benefits information service for the Health Insurance industry. Oxlo Health Insurance Insight™ is a software as a service solution used by the top Health Insurers in the United States. The Oxlo solution and services support affordable care healthcare consumer transparency initiatives, strategic competitive product pricing and benefits analysis, competitive business intelligence, sales and marketing. Setup a meet and greet with Oxlo and get a free market data report. You must be a qualified health insurance professional, work for an insurer or be a member of America's Health Insurnace Plans (AHIP) to receive a free personalized report.